Thirty years ago, a new movie starring Bette Midler and Barbara Hershey hit theaters. The year was 1988, and that movie was Beaches. In the film, the women played lifelong friends who first met in Atlantic City while vacationing with their families. Although opposites in many ways, their bond endured through everything. Accordingly, the film became a cult classic over time for its honest portrayal of female friendship. Beaches‘ emotional resonance seems to know no bounds, though. Women of all different ages and backgrounds consider the film a nostalgic favorite and have at least one story about a Hillary or C.C. in their own lives. 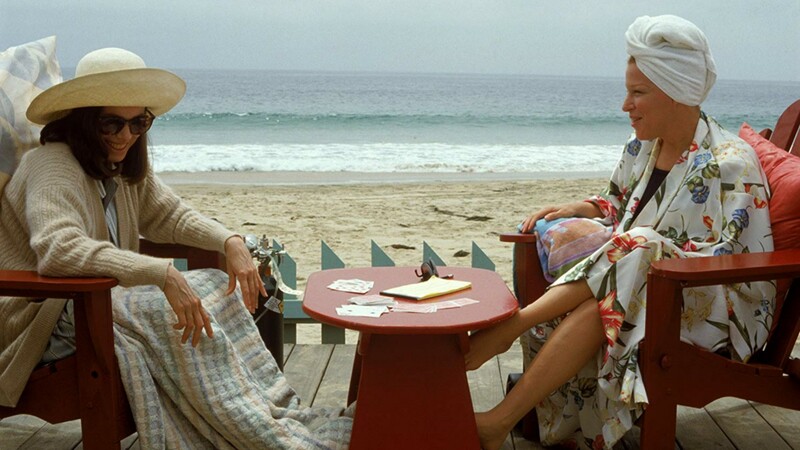 So in celebration of the film’s 30th anniversary, SheKnows asked women in their 20s, 30s, 40s and 50s on Facebook how Beaches affected them based on their current age and to more broadly see how it affects different generations. What is it that makes Beaches as relevant today as it was the day it debuted in the late ’80s? What makes this movie such a timeless classic? And do the women, despite their age, all still carry the same sentiments for the story of Hillary and C.C.? Their answers will warm your heart. “I just love this movie. The true bond between best friends isn’t fazed by time or distance, and nothing can get in the way of true love in friendship!” — Karly C.
“I absolutely love Beaches! Their long-lasting friendship was always something I found so great. Of course, I also loved Bette Midler singing!” — Sara G.
“Oh, I love this movie! It always resonated with me because my best friend and I are so different, and we’ve been friends since childhood, too. We’ve had such different lives and been through jealousies, competing and sharing secrets and hard things that only the two of us know about.” — Brooke N.
“I grew up watching Beaches with my grandma and I loved it! It was one of her favorite movies. I always respected how much they supported each other to be strong, independent women through true hardships they went through in life. They might have bickered but they truly loved one another — Jennifer G.
“My Aunt Lori, my mom’s little sister, died from cancer around the same time the movie came out. A couple years earlier, her father passed away. She was so depressed and broken for probably a couple years after that. We had Beaches on VHS, and I bet we watched it once a week. She’d cry and cry… and I’d just sing along to all the songs. Now, I cry when I watch it because it makes me remember how utterly gutted she was during that time in our lives. And, of course, it makes me think of losing her which is something that has come so close to happening way too many times.” — Deirdre G.
“When I was eight, I met a girl in the Bahamas while our families were on vacation. We became lifelong penpals. As we grew up, she was always so put together and gorgeous and became a lawyer. I imagined myself the Cecelia to her Hillary every time I watched it and missed her. Hopefully minus the sad ending! Now, I randomly live just two hours from her in Mexico (where she’s from) and she takes our poor selves to fancy dinners, just like I think Hillary would. She’s one of my best friends, and Beaches will forever be one of my favorite movies.” — Alison M.
“I love that through thick and thin, the friendship lasts until Hilary passes! They met when they were young, two different worlds, but that didn’t stop them from loving one another. Cecelia would drop what she was doing to be there for her best friend. That is what a best friend does. To have a best friend stay loyal to you thru all of that is a blessing, and it really hits home for me. My best friend from high school abandoned me. We were friends for 17 years and went through a lot. But when I needed her the most, she wasn’t there. To have a Cece… that would have helped me so much.” — Robin R.
“This movie is one of my favorite classics. My friend Becky forced me to watch this at age 10, and I fell in love. The heartache, friendship and lessons have stuck with me throughout the years. It is real and raw. Plus, it taught me to live in a way that I wouldn’t take any day for granted. I had no idea it would later prepare me for extreme losses in life, including the unexpected passing of Becky. So, for me, Beaches will always be a ‘Becky’ movie.” — Susan P.
“I watched this movie for the first time with my sisters, and it made us laugh and cry and hug each other a little tighter. We all have different lives now and are spread out all over the country, but every now and then when we come back together, we watch this… and we laugh and we cry and we hug each other a little tighter, all over again! It’s a movie that really reinforces how important it is to show up for the people you love.” — Julie L.
“When this movie first came out, I was in my early 30s and in the middle of a difficult divorce. I never needed my best girlfriend more and, honestly, having her there with me through those dark days was probably the only thing that helped me keep moving forward. We’ve been friends for so long now we just call each other sisters. Every time I see this movie or someone even mentions it, it takes me back to me crying in her arms, her telling me everything would be okay and endless phone calls. It reminds me of just how important her friendship has been in my life.” — Marilyn R.
“I’ve always felt like Beaches was ahead of its time. When it came out, there weren’t many movies that celebrated female friendship the way this one did. Or that featured strong, independent, working women with ambition and complex emotions. It will always be one of my favorites for that reason. Not to mention Bette Midler and Barbara Hershey are iconic!” — Lisa R.